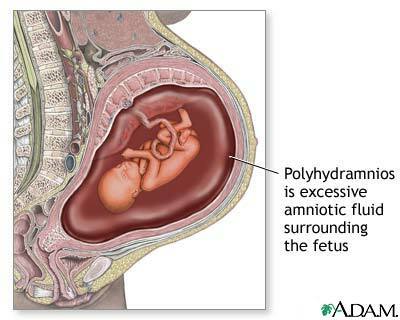 Placenta accreta is a pregnancy condition when placenta attaches to the uterine wall in an abnormal way that the chorionic villi, an organ through which mother supplies blood & nutrient to the child in the womb – encroaches into the middle layer of the uterine wall, known as myometrium. 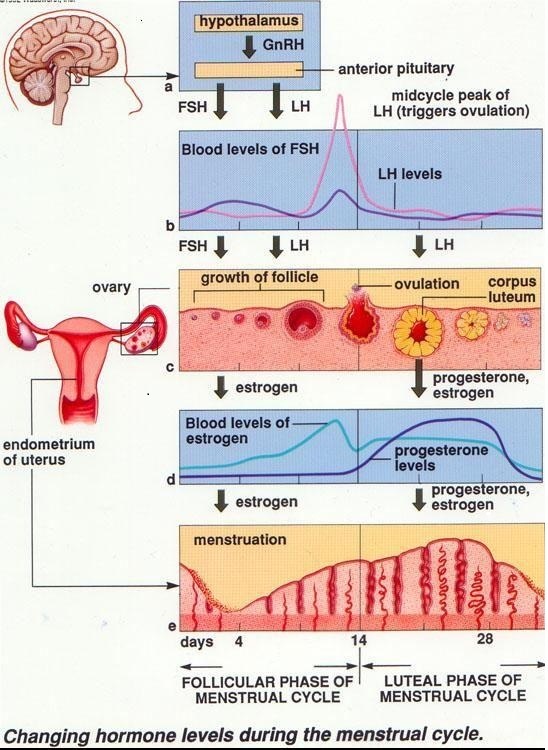 Pregnant women get afflicted with this condition either due to a prime shortage of or poorly formed endometrial lining or losing it at secondary stage. Both these conditions are linked to the blood loss that happens when the woman delivers through c-section. Placenta accreta occurrences have gone up ten times in the past half century. One in two thousand five hundred pregnant women is facing this condition. Placenta Accreta is the most common condition amongst pregnant women wherein chorionic villi, an internal organ supplying nutrition to the unborn gets joined to the middle layer of endometrial wall, myometrium. In this case, though placenta gets joined with the uterine wall, it does not invade into uterine muscles. Second condition is called the Placenta Increta which is not seen as commonly as the first condition. In this condition the chorionic villi intrudes into the mid layer of endometrial lining rather severely. Here too the placenta does not encroach into uterine muscles. The third condition which is the rarest of all is called Placenta Percreta, where the chorionic villi breaks into the space meant for Serosa. 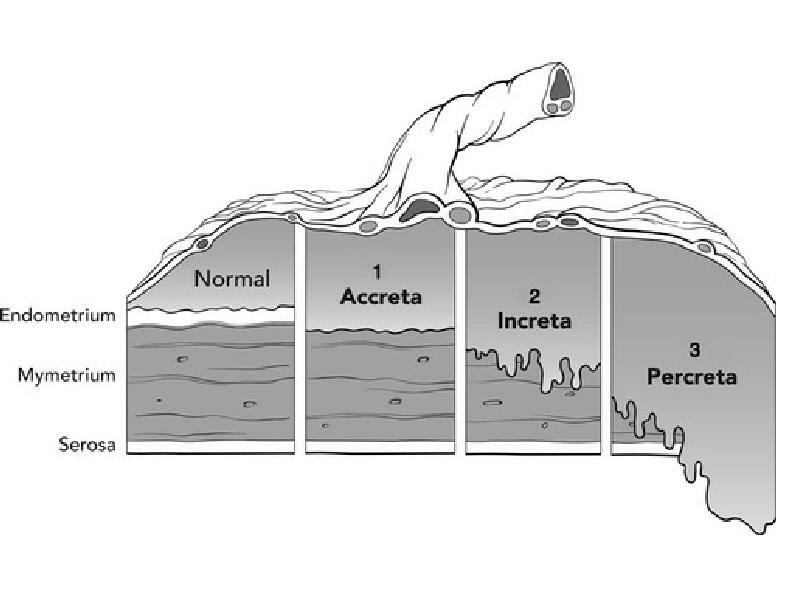 Serosa is a membrane that produces serous fluid which helps to minimize friction movement of muscles. IN this case placenta is also sometimes seen to get attached to the bladder. Women who are diagnosed with Placenta Accreta, Increta, or Percreta should undergo caesarean delivery, in a hospital which is attached to a well equipped blood bank. Doctors need not to try to separate the placenta during the delivery. women above 35 years of age are more prone to develop this condition. The cases of placenta accreta are on the rise and increasing in direct proportion with rise in caesarean section delivery cases. It’s very rare to come across a woman with placenta accreta condition who has not suffered any of the above medical issues and is still showing the signs of being afflicted with it. Let us discuss risks which are associated with baby and the mother. First the baby, if unstoppable bleeding occurs at the end of second trimester or anytime during the third trimester, and after examining the patient, doctor does not see bed rest does as a solution that can work, in that case he may have to opt for pre mature delivery, i.e. delivering by caesarean section before pregnancy reaches its full term. If this happens it is not good for the baby because it is not yet fully developed and its immune system is also not strong enough to tackle health and infection related issues. 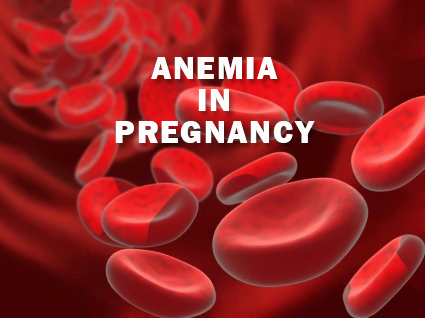 Risks for the mother are as follows: since placenta gets so severely joined with endometrial wall that it becomes difficult to untangle it and this attempt by doctor may lead to bleeding which could also lead to major blood loss which could become a life threatening situation. The attempt to separate uterine wall from placenta may also sometimes damage other organs like uterus. But this may not be the case always. Sometimes it can also be spared. This is the reason hysterectomy is a generally advised procedure following this delivery condition, however the woman loses ability to conceive once uterus is removed. Women who in the past have been diagnosed with either anterior or central placenta previa condition, and have undergone two c-section deliveries already, are in 40 to 45 percent danger zone bracket where they are likely to develop placenta accreta.